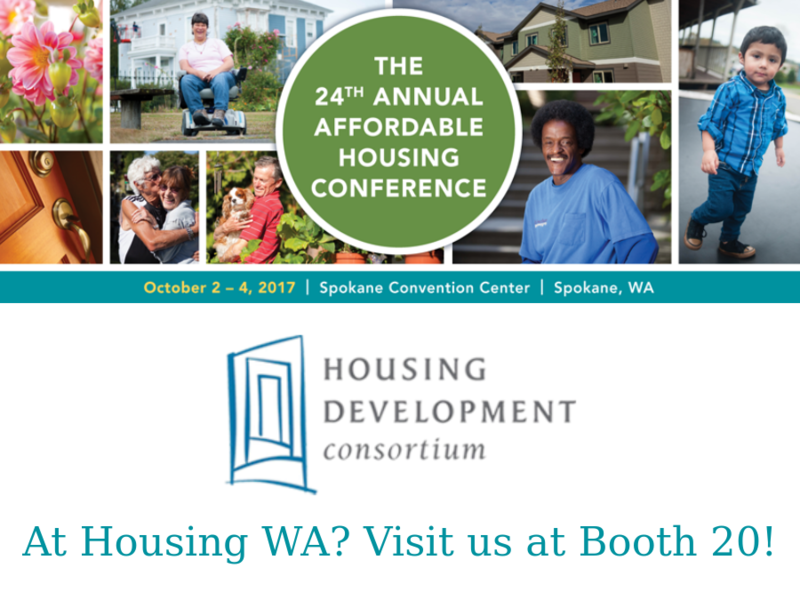 Housing Developments: Live from Housing WA! Rent in the Puget Sound region continues to rise faster than historical norms, but the worst may be behind us according to new figures from Dupre + Scott. Still, home prices here are growing at a rate nearly double other US cities. Seattle mayoral candidates Jenny Durkan and Cary Moon have some ideas on what to do about the rising rent including vouchers and taxes on speculation. The Seattle City Council will vote on the Uptown rezone and design review legislation- two key HALA policies- today at 2 pm. After the vote, join our friends at Seattle For Everyone for a #HALAyes happy hour at the Queen at Beer Hall at 5. HDC member Doris Koo of Yesler Community Collaborative will be honored at the Crosscut Courage awards on the 12th, alongside a few other familar faces. Early bird registration for the event closes on the 6th. Kent may see an increase in property taxes as the city considers options for closing their budget gap. Curbed took a dive into how underutilized public land impacts the local affordable housing crisis. The answer? Both more and less than you think. Kirkland City Council supports the Veterans, Seniors, and Human Services Levy! You can, too, by phone banking, endorsing, or sharing your story here. Bellevue City Council candidates talked affordable housing and other issues at a forum last week. Building Transit, Building Opportunity: Puget Sound Regional Council event on Wednesday, October 11th. This regional event will explore innovative techniques and best practices in creating successful transit-oriented communities affordable to all.